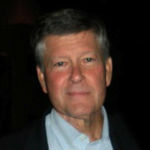 Henry L. Roediger, III is the James S. McDonnell Distinguished University Professor at Washington University in St. Louis who has spent his career studying learning and memory. He has received the Howard Warren Crosby Medal from the Society of Experimental Psychologists and the William James Award for Lifetime Achievements in Psychology from the Association of Psychological Science. He also served as President of APS. We'll email you instructions on how to reset your password.